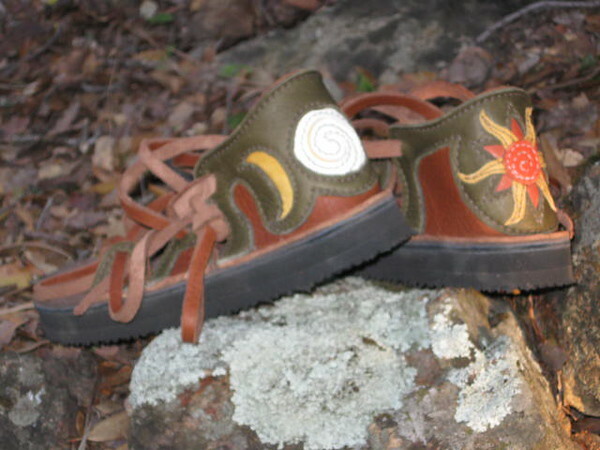 Tobacco Four Tab Sandals, with Olive Green Trim, the Triple Moon on the left and the Sun on the right. A little bit of swirl added in the center of the sun and the moon. Thick Cushi MIdsole and Spikeless Golf Vibram Soling make these dancing shoes comfy!